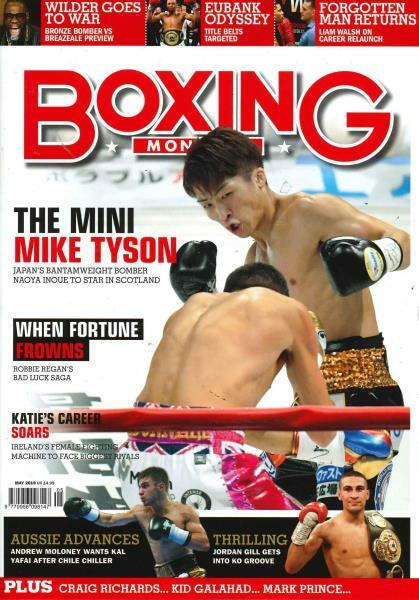 Boxing Monthly is a full colour glossy magazine dedicated to boxing and boxers alike. It is Britain’s favourite boxing magazine, issued (obviously) on a Monthly basis. Buy a single copy or subscription to Boxing Monthly magazine. This magazine features Britain’s boxing current affairs, including interviews with past and present boxers, up to date news in the boxing world, current events, reviews of boxing merchandise along with previews and reviews of big boxing clashes such as Haye Vs Chisora. necessity for all boxing enthusiasts and the men and women who share a passion for the sport. Boxing Monthly represents the glory of boxing by containing a mix of gore, aggression and amusement, exactly what you’d see in the ring. Keeping me updated on the boxing world wide.